An earthquake in the transatlantic jetliner duopoly caught Boeing off guard. Last week, Europe-based Airbus signed a deal with Canadian plane maker Bombardier to acquire 50.01% of its flagship jetliner, the embattled C Series. The C Series program became imperiled when the International Trade Administration, an arm of the U.S. Commerce Department, recommended a pair of tariffs totaling roughly 300% on the delivery of each airliner into the U.S. Many expected the Canadian plane maker to find ways to operate should the crippling tariff be imposed. Few expected Airbus (EADSF) to swoop in so decisively. 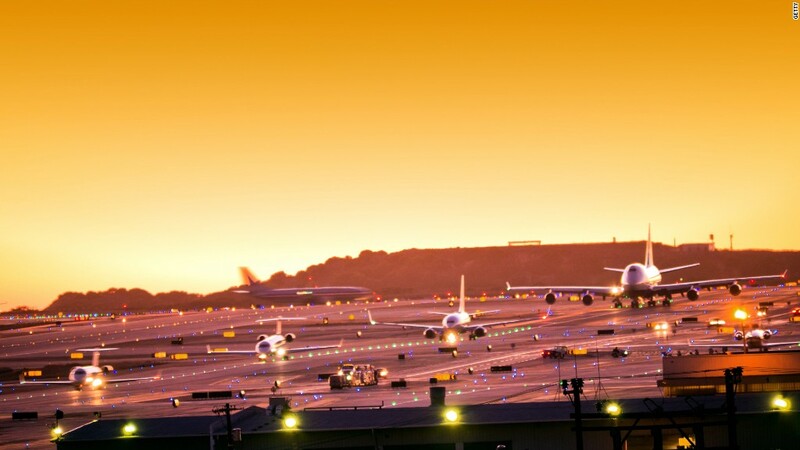 The aerospace business is typically marked by incremental moves, but the European and Canadian alliance may significantly alter an industry that has world leaders acting as champions and sales representatives. Both the Canadian and U.K. prime ministers have encouraged the U.S. to drop its challenge to Bombardier, threatening future Boeing deals in both countries. Since news broke last Monday about the Bombardier-Airbus partnership, many in Boeing (BA) have expressed confusion about the benefit to its rival. Others are downright dismissive about whether the deal will survive at all. But in either case, Boeing is trying to figure out what the biggest change in the jetliner business in 30 years means for its future. "This looks like a questionable deal between two heavily state-subsidized competitors to skirt the recent findings of the U.S. government." Phil Musser, Boeing's Vice President of Communications said in a statement last Monday. On Wednesday, Boeing's Chief Executive will likely weigh in on the deal when the company releases its third quarter earnings. Bombardier C Series jets in production in Mirabel, Quebec in January 2016. But Boeing's leadership was betting on China taking over the C Series, not Airbus, according to two people familiar with the company's thinking. Indeed, talks between Bombardier and China preceded the Airbus announcement, according to one senior industry official close to the deal. "Monday probably was not as predictable as some would've thought," said Congressman Rick Larsen, who represents more than 20,000 Boeing employees in his Seattle-area district. As the news of the partnership between arch rivals Airbus and Bombardier spread, the leadership of Boeing's commercial airplane unit were sitting down to dinner, mingling with executives from Australian airline Qantas, which was taking delivery of its first 787-9 Dreamliner. Darling of the Dow, Boeing has been fueled by booming sales of jets like the Dreamliner, delighting Wall Street with copious amounts of cash. And the tight political bond it has formed with the Trump White House had preliminarily delivered major victories, such as the recommended tariffs on the Canadian planes. Boeing won the crushing tariffs on the C Series by alleging the planes were sold to Delta Air Lines (DAL) for "absurdly low prices." The tariff rulings are expected to be finalized or rejected in February 2018, when the International Trade Commission will determine if Boeing was harmed by Bombardier. The Canadian plane maker has denied its deal with Delta harmed Boeing in any way. Those tariffs, and the threat of a quadrupling of the jet's price tag to U.S. airlines - a veritable death blow - forced Bombardier into the arms of its biggest rival. Airbus now plans to expand its Alabama factory to build C Series jets. "That's a direct consequence of the tariff discussion," said the senior leader close to the deal. "If you try to kill someone, don't miss." Airbus has secured the future for its single-aisle jets in a move that literally costs it nothing up front. The deal is expected to close in the second half of 2018. "I have no doubt that our partnership with Bombardier will boost sales and the value of this programme tremendously," Airbus Chief Executive Officer Tom Enders said when the partnership was announced. With the deal, Airbus also snatched the C Series from their future rival, the Commercial Aircraft Corporation of China, or Comac. Bombardier and Comac were once partners. Though the union later fell apart, the flirtation was enough to concern both Boeing and Airbus. China has always lurked in the background both as a future competitor and the largest single marketplace for jetliners. The Airbus-Bombardier deal is also an acknowledgment that Europe and Canada can't fight the Communist nation's ambitions separately, especially as their respective trade ties with the U.S. and the U.K. are increasingly strained by Trump and Brexit. But even China knows that its Western competitors cannot be humbled without a seasoned partner of its own. China and Russia have teamed up to build long-range twin-aisle jets for the world's airlines. And that union is aimed squarely at Boeing and Airbus. For its part, Boeing is counting on the Commerce Department's tariffs sticking, no matter the outcome of the partnership between Airbus and Bombardier. "Any duties finally levied against the C Series...will have to be paid on any imported C-Series airplane or part, or it will be not permitted into the country," said J. Michael Luttig, Boeing's General Counsel. 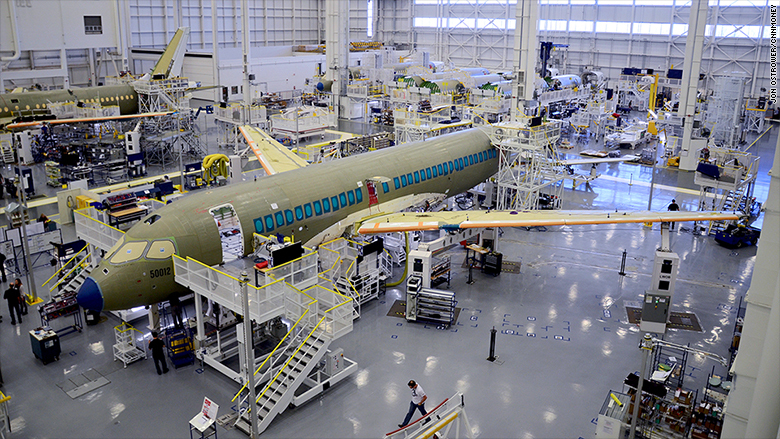 In Boeing's view the C Series doesn't get a pass just because they're assembled in Alabama. As the week drew to a close, Boeing was still trying to figure out where it goes from here. A senior industry executive predicted another similar shakeup: A Boeing alliance with Brazil's Embraer. By "the rules of game theory" in a duopoly, the executive said of the Nobel Prize-winning research that helps predict corporate behavior. "You mirror the movements of your opponent."